Already have licenses? Need upgrade Prices? KID PIX 5 Upgrade prices. 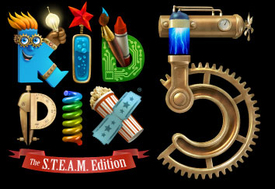 The new STEAM edition of KID PIX enters a world where art and science reunite and critical thinking meets creative making. Young artists can now transform their digital stories and adventures into interactive digital art, science and math projects. 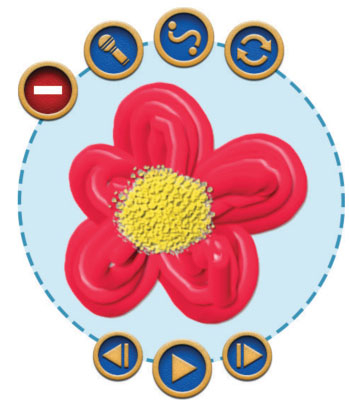 New button actions enable students to design interactive quizzes or create a learning game. 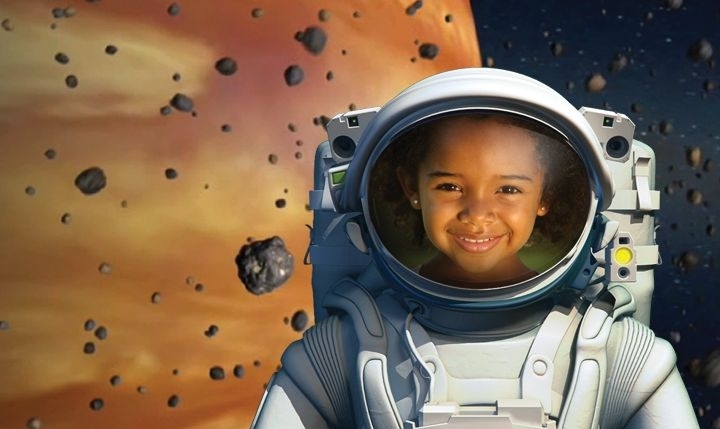 Using a variety of animated costumes and their own recorded videos, students can star in their documentaries or talk to an animated character who shares the screen. 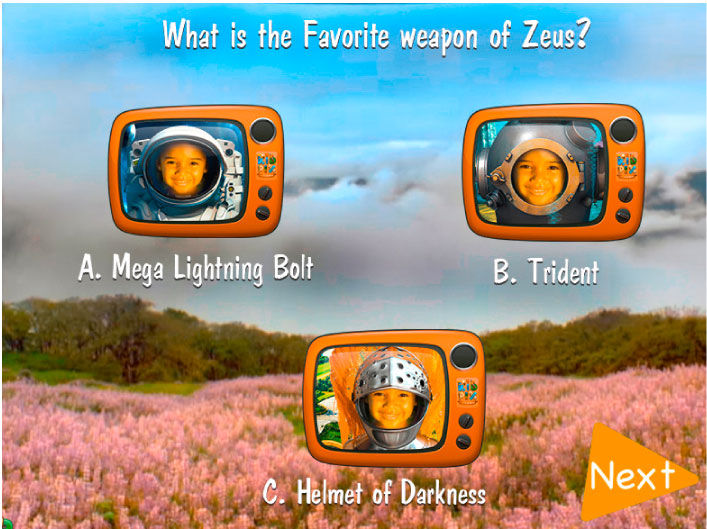 New button actions enable students to design interactive quizzes. 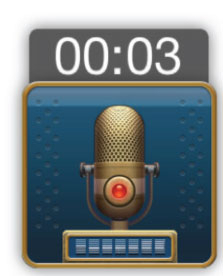 Record a full narration for your entire slide show, or give voices to the characters in your animated story. 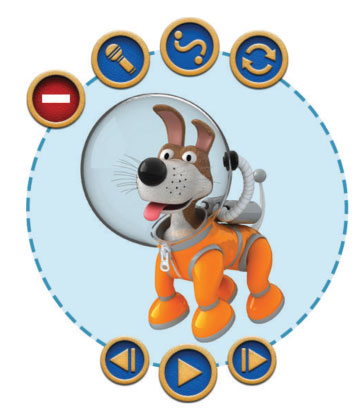 Rotating and resizing stickers, animations, movies and text while moving along a path is as simple as pinching and dragging, making it easy for characters to hop, jump and fly around the screen. Students can use the new Sticker Maker tool to create their own stickers out of anything they see or draw on the screen. 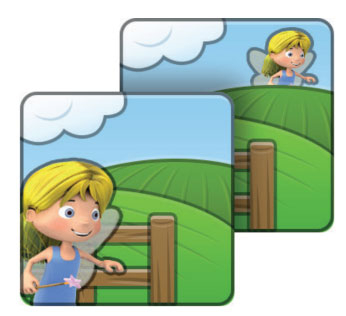 Stickers are not automatically flattened to the background so they can be resized, rotated, flipped and assigned a path. Two students using the iPad's built-in dual-view camera can create a video narration for their story, and add animated costume frames that let them not only tell their stories on screen, but appear as characters in them as well. No longer bound to a linear model, students can create interactive characters that tell their story when tapped, sing a song, play a musical note, make an odd noise, or just fly off the screen. Students will learn simple layering concepts (move to front, sent to back, etc.) wiht the new Layer Tools in the Grab Tools area. Combined with the 3D characters and 3D backgrounds, they can now begin to explore the relationship of scale and perspective. Slide shows and stop-action flipbook movies can be assembled on the same screen as the paint canvas with the new Slide Tube, including setting transitions, slide duration, music tracks and how tot advance to the next slide. Make own video and talk to an animated character who shares the screen. Set the scene with dozens of rich, multi-layered 3D backgrounds. Easy path animation tools let 3D characters move and interact. Create floating stickers out of anything on the screen. Simple layer tools teach about spacial relationships and perspective. 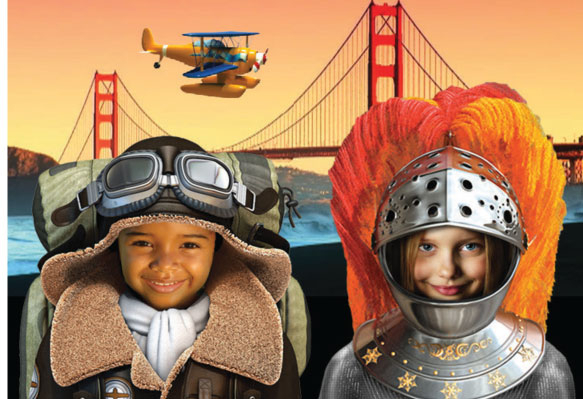 Video narration and animated costumes let students appear in their stories. Set the scene in foreign lands with 100 video backgrounds. Use dual audio tracks to add both narration and music. Add pictures directly to slide shows with the Add to Slide Show button. Make stop-action short "flipbook" films with fast transitions. The Undo Guy can fix just about anything with unlimited undos and redos. 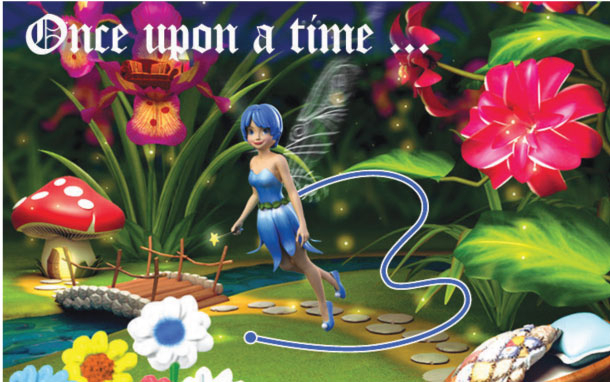 Transform animated pictures and slide shows into 3D movies. Publish KID PIX animated 3D adventures directly to YouTube. System - Requires iOS 10.2 or later.